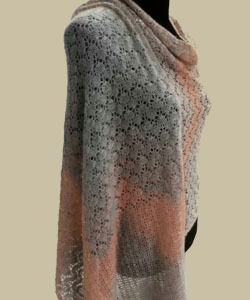 Luxuriously soft, lightweight and elegant stoles, handmade using alpaca and silk yarn. Each is a Masterpiece with can be used plain or adorned with embellishments of your choice. Wrap around on cold winter nights to keep warm, without compromising on style. We offer many customized styles to keep each piece as original as possible. Elegant cashmere stoles adorned with French Lace to give a luxurious feminine look. Make any occasion formal and Special. Customize your own stole with a variety of colors and lace.